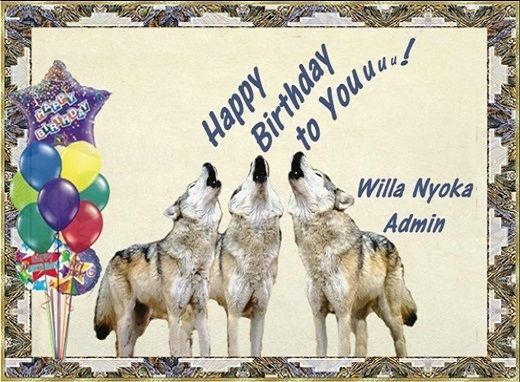 Ms. Down-to-Earth left a comment for Whispering Cloud..
Loretta Riddell (Elohi) left a comment for Whispering Cloud..
WILLA NYOKA (ADMIN) left a comment for Whispering Cloud..
PITA SIKSIKA WARRIOR left a comment for Whispering Cloud..
"OSIYO HAPPPY BIRTHDAY WHISPERING CLOUD HAVE A SPECIAL DAY MANY BLESSINGS TO YOU"
Looking at photos of wolf pups howling. Jimi Hendrix--Carlos Santana--Eric Clapton and whole list of others. Call of the wild--Avatar--Dances with wolves..and so on..
Musician-Composer-Painter artist..I have wrote over 500 songs and counting. You can find some of my music on itunes for sale..One of my water color painings was chosen for the Avatar movie online--Titled "The Avatar Forest" on the Avatar movie fansite.org.I am on the cover page with my art work.. Walk ever so softly upon our beautiful mother earth.. I am a tribal affiliate of the United Confederation Of Taino People, I am Taino native american indian, my tribal name is Whispering Cloud.. I'm Sorry-Making You Feel So Bad- Music Video..